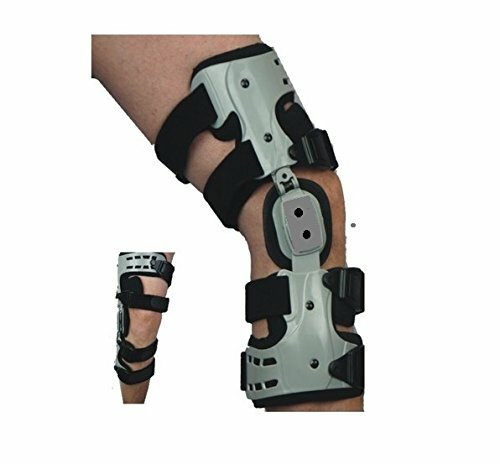 OA Single Upright Knee Brace has an exceptionally light weight, low profile, and easy to use design. The unique varus/valgus angle adjustment provides compartmental off-loading and optimize pain relief. The lateral application avoids tibial crest pressure and medial clearance issues. Maximized 3 points of leverage for medial compartment. The interchangeable condyle pads allow for increased comfort, stability and pain control. This upright knee brace is designed with quick release buckles for easy donning and doffing. The silicone gripped liners and strap pads to help prevent migration. Included optional suspension wrap for optimal fixation. The optional flexion/extension stops for range of motion control. If you have any questions about this product by UBLC, contact us by completing and submitting the form below. If you are looking for a specif part number, please include it with your message.